Experience a taste of Crown Heights with an insider's tour of the neighbourhood highlighted by a visit to the iconic 770 building, the Rebbe's Shul and Chabad Central Headquarters. 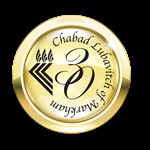 Visit a site revered by hundreds of thousands around the world, a place where heaven and earth intersect, and where prayers are answered and blessings are bestowed - the resting place of the Lubavitcher Rebbe. The Shabbaton includes accommodations at the beautiful home of a warm, friendly Crown Heights family and three gourmet meals daily.